Posted by Nick Verreos Labels: Met Gala 2014, Oscar De La Renta, red carpet, Sarah Jessica Parker, Who Wore What? Sarah Jessica Parker is one of the co-chairs of tonight's Costume Institute Metropolitan Museum Gala. We knew she would be one of the first arrivals and she came on the arm of her date Andy Cohen wearing a custom Oscar de la Renta Gown. 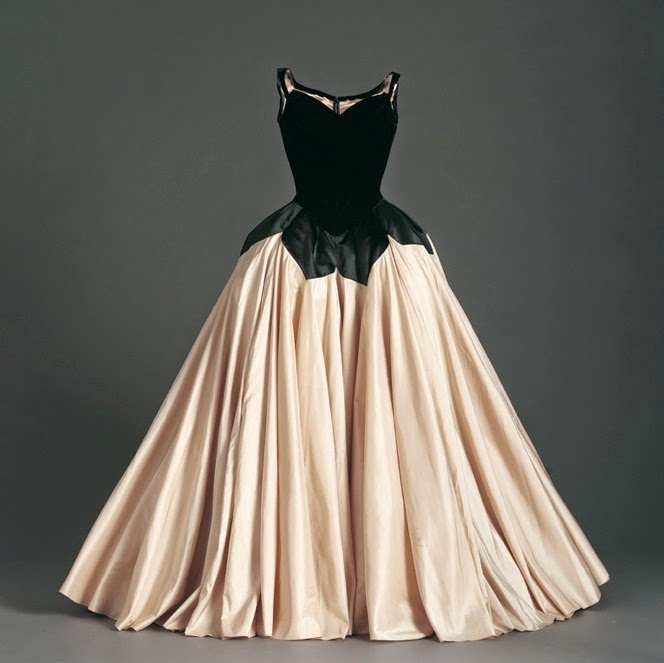 From the arrivals I've seen so far, we are going to see a LOT of Charles James inspired Ball Gowns. I, for one, am excited to see all the glamorous gowns, but it will be interesting to see if designers will be able to interpret the "Charles James style" without directly copying his designs. To differentiate this design from the original, ODLR added a black window pane train with his signature at the bottom. In my opinion, the signature is a bit tacky and too much. I don't think it was necessary. Sarah always loves her big hair and accessories and she didn't disappoint tonight. 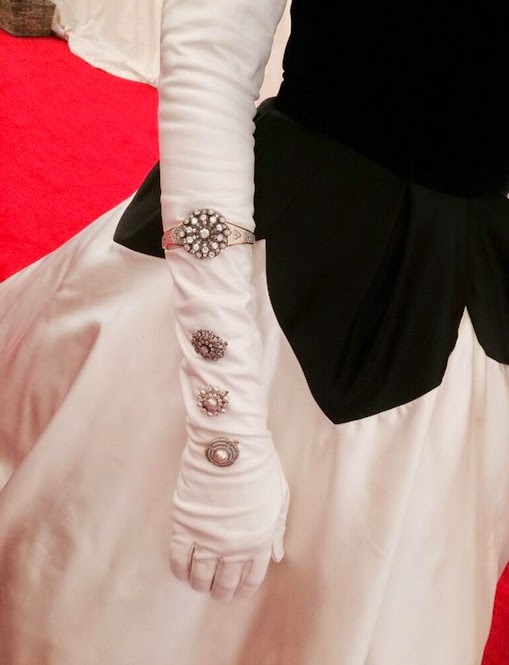 She added several vintage pins to her long white gloves and a bracelet high up on her arm. Her hair was accented with beautiful Gardenia flowers. What do you think of SJP's Met Gala 2014 style? 1 Response to "WHO WORE WHAT?.....MET Gala 2014: Sarah Jessica Parker in Oscar de la Renta"
I never get tired of SJP! Always so elegant! LOVE her look tonight - from top to bottom - so chic!